A si-fi set in the future where humans can travel to Mars. They go to do testing and can get left there with supplies for a while. 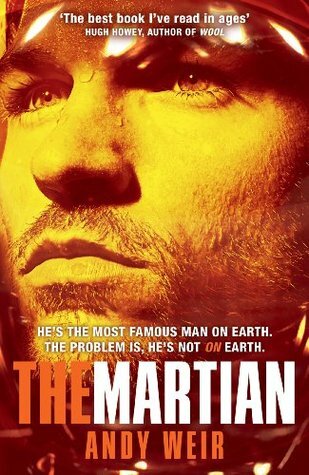 Mark and this co-astronauts land on Mars, and there is a catastrophic event. The rest of the astronauts make it back to the ship, they are sure that Mark has died in the explosion. Mark has not died although he is injured. He watches his ship and supplies fly away from Mars. He has no way to contact anyone. He is a scientist and he is smart. He sets about surviving. He thinks about how to get a message through that he is alive. Not everything goes to plan. There is a lot of scientific fact in this story which is necessary because it has to be possible and believable. In some places I skimmed over the scientific bits because I couldn’t get my mind around them. This didn’t detract from the story, it made it more real. This is a thrilling thriller. Recommended for si-fi fans, as well as fans of other types of thrillers. It is very hard to put down. Kieran is growing up in a council house. He lives with his Mum who is always at work, her boyfriend Tony and his son Ryan who are always home. Kieran has his own teacher aid and gets on at school, art is his favorite subject. He keeps his drawings and journal hidden so Tony won’t find them. When his Mum is at work he is either quiet in his room or out somewhere. His Mum is working later at night. 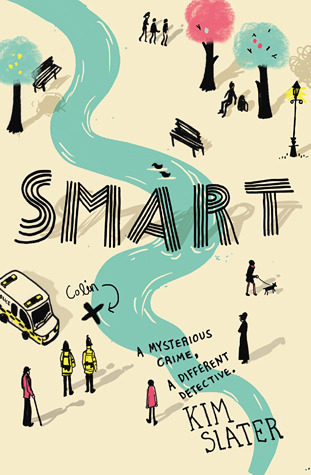 He finds the body of Colin a friend and homeless man down at the river bank. The police think Colin was drunk and fell accidentally. Kieran thinks he has been murdered and uses skills learned watching CSI to investigate the case. Kieran has a few friends, Jean knew Colin from the shelter and a new boy at school. He hasn’t seen his grandmother in a long time. His teacher aid thinks Kieran might not be safe at home. All the while Kieran is collecting clues, staying away from Tony and trying to look after his Mum. A well written and page turning story of dysfunctional family life, love, loyalty and a reminder that you should never underestimate someones bravery, intelligence or ability. The final installment of the series which started with “Wool” and was followed with “Shift”, the prequel that helped make sense of the world created in the first story, but left plenty to discover in “Dust”. The people live in a silo, they have lives, jobs and a very limited understanding of the world around them. Everything about their existence is controlled and while there doesn’t seem much joy; there are families, community and a shared sense of purpose. I encourage you to take “Wool” to the beach this summer, buy copies as gifts for all your reader friends and share in this unique sifi journey. I loved this book and this series. I loved the imagination, creativity and the hope it shares about life and the living of it. I was lucky to meet Hugh Howie, the author, and he seemed a genuinely nice, regular guy. How easy it is to sum people up and underestimate them, I can’t imagine this story was just sitting in his imagination waiting to be written down. I’m very glad he did.